1. Everything But The Bagel Seasoning - This seasoning is amazing! I am obsessed with Everything Bagels, but try to not to eat them often because of the lack of nutrients! This seasoning can be added to just about any recipe and enhances the flavor. My favorite thing to add it to is Avocado toast. 2. Cauliflower Crust Pizza - Who doesn’t love a frozen pizza on a Friday night?! On the weekends, one of my favorite meals to splurge on is pizza, but with this Cauliflower Crust Pizza, I don’t have to feel like I’m ruining my healthy eating by having some pizza. The cauliflower crust makes the pizza low in carbs which is a great alternative, plus it tastes amazing! 3. Acai Puree - You guys already know how much I love my Acai Bowls (if not, click here for my latest masterpiece). These puree packets make it so easy to make a delicious bowl! 4. Charles Shaw Wine - $2.99? Do I need to say more? Probably not, but I will. It's the perfect bottle of wine to pick up for a night with your girlfriends or for dinner. They have so many different types of wine within the Charles Shaw brand, you have to check it out! 5. Cookie Butter - When I have a sweet tooth (which ends up being every single night), I always reach for a graham cracker with a little bit of cookie butter! It’s so sweet and the perfect consistency to satisfy my sweet tooth (I'm eating this as I type). 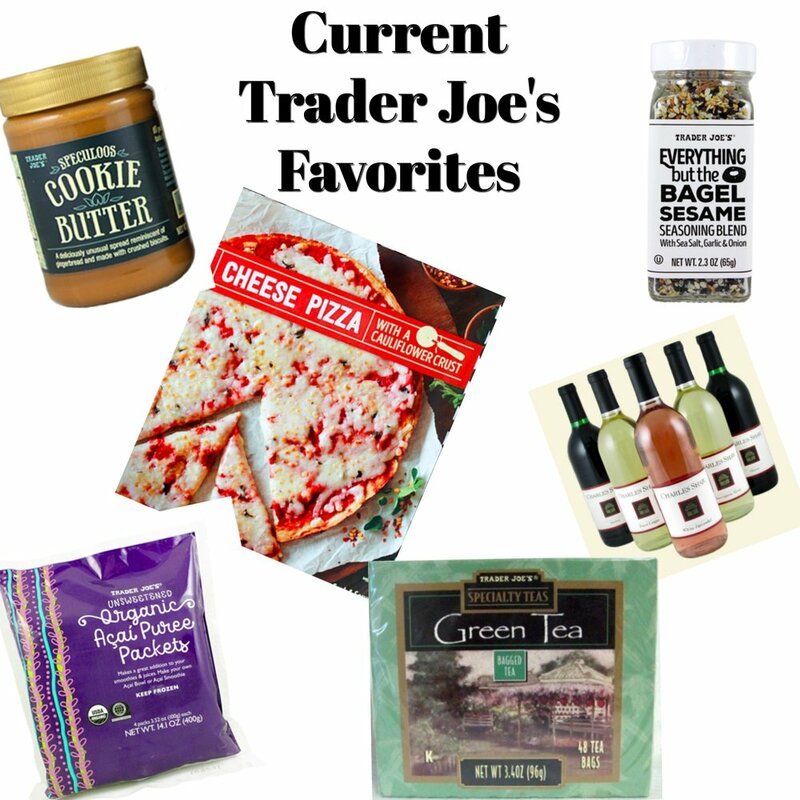 What are your favorite Trader Joe's items? Let me know so I can check them out!